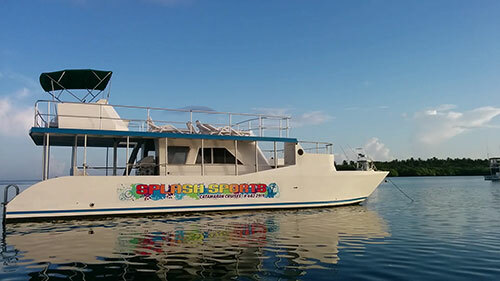 Splash Sports is the passion of Ellis John, a renowned dive master, who shares his love for the sea with you aboard the Maestro Del Mar, a 50 foot custom designed Catamaran. A draft of 3 feet, allows the Maestro Del Mar to get up close to the coastline, beaches and bays along the route. Passenger Capacity: Licensed for 60 passengers. © 2019 Splash Sports Tours, Tobago. All Rights Reserved.